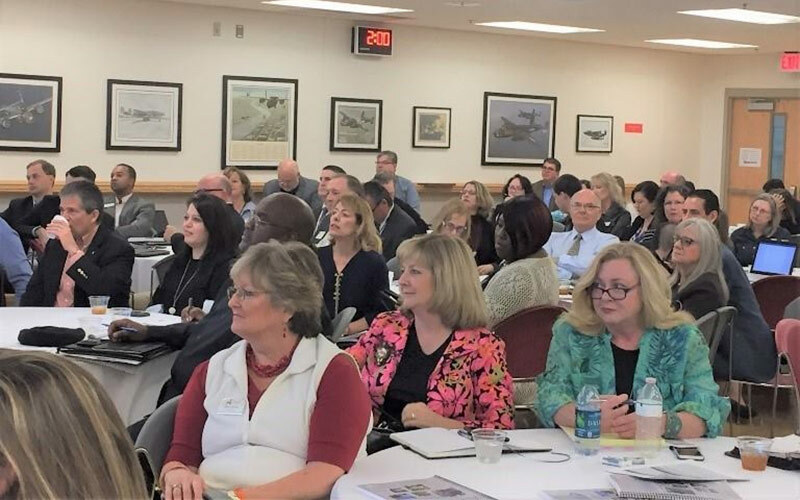 Last week, nearly 100 leaders from across Northwest Florida came together to mark the progress made on the Northwest Florida FORWARD strategic initiative which was launched one year ago. The regional strategy provides a roadmap to help create a diverse and vibrant economy for Northwest Florida and its 13 counties, providing greater opportunities for residents and businesses alike. The Triumph Gulf Coast Board has stipulated that applications for Triumph funds that are aligned with the Northwest Florida FORWARD regional strategy may receive discretionary priority. Although the FORWARD strategy covers 13 counties in the Panhandle, Triumph dollars could help kick start strategic initiatives in the eight disproportionately affected counties or potentially serve as partial funds for regional programs. Northwest Florida FORWARD is a strategic plan based on research and insight provided by nearly 900 business, government, educational, and community leaders. It was developed over an 18-month period and launched on February 27, 2017. On the campus of Northwest Florida State College, regional leaders discussed progress made toward implementing the plan and outlined steps to continue moving forward. The group looked toward best practices including North Carolina’s Research Triangle Park and Mississippi’s Golden Triangle which underscore a need for leaders to work together at the right time to make progress and witness significant accomplishments. In both examples, it took more than 10 years before truly meaningful results took shape and their economies secured. “Regional transformation does not happen overnight,” said Bruce Vredenburg, market president of Northwest Florida for Hancock and Whitney Bank, and board chairman of Florida’s Great Northwest. “We are running a team marathon, not an individual sprint. We need everyone's help over the long-term to get across the finish line." In addition, updates were presented on what volunteer leaders from across the region were tackling within the five FORWARD councils, which include helping existing companies grow and attracting new industry to the region; providing the workforce businesses need now and in the future; ensuring the infrastructure is in place to move products, people and ideas efficiently; helping entrepreneurs be successful; and creating an even better environment where people want to live.